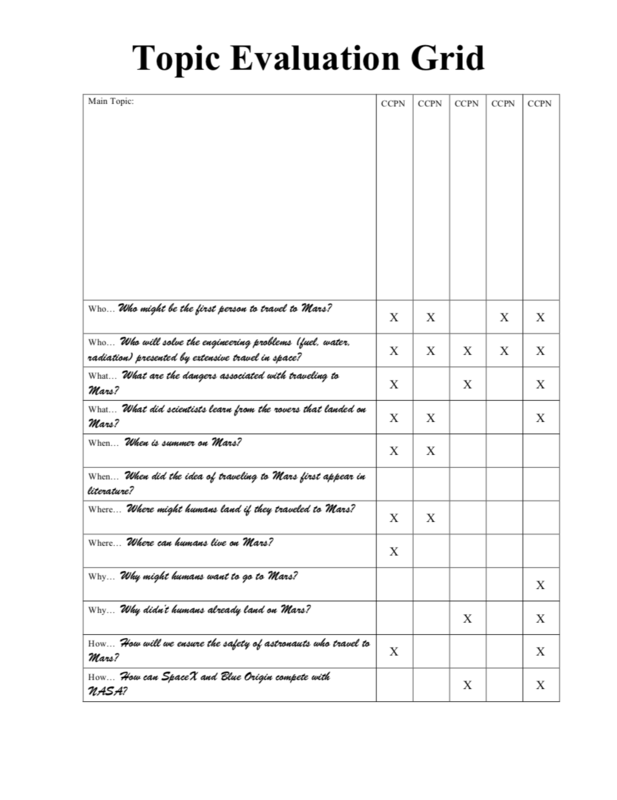 Topic Evaluation - ANGELA M. HOUSAND, PH.D.
​Decision-making and focusing can be very challenging for students, particularly when they are at the beginning of a research process. Hopefully by now, students have a sense of the topic they are most interested in pursuing for their passion pursuit. Oftentimes, deciding what to actually pursue within a larger topic is where the real challenge begins. This lesson helps students look at the real problems in his or her field of interest and see where the problems of the field intersect with their own personal questions or specific areas of interest. This is a complex and challenging task. Students may need more than one class period to complete this process, particularly if they have to go back to previous activities to make revisions. Revisions are welcome and should be encouraged! Students need to understand that processes associated with research, creativity, and productivity are not linear processes, so the more they choose to make changes to past work that enables them to progress in current work, the better. The goal of this process is to help students start to identify a manageable pursuit. What are the factors that make a decision difficult? 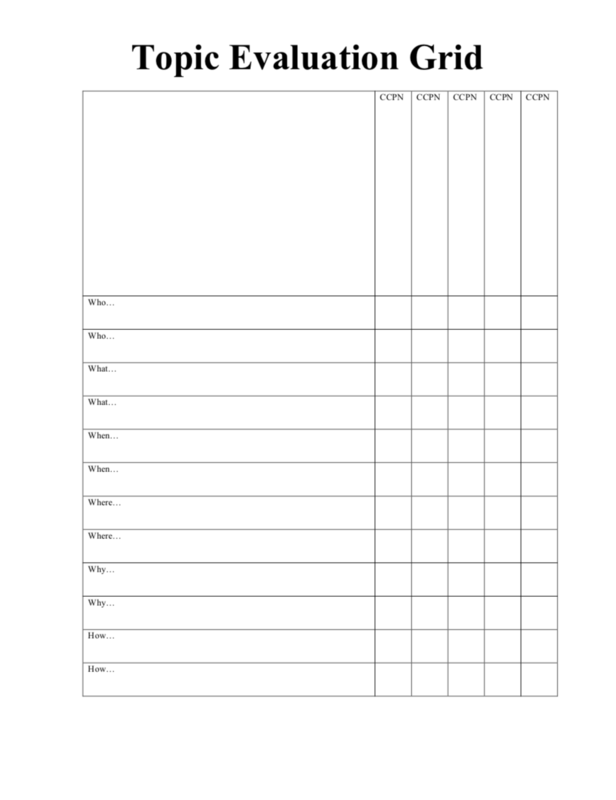 Provide students with the Topic Evaluation Grid handout and make sure that they understand the directions. Be careful not to over-explain. It is important that students learn to read directions and understand expectations based on those directions, but be available for questions. A sample is provided to help scaffold understanding. You may want to use a document camera for the sample in order to save paper. Students do not need their own copy of the sample.